The author — Keith Thompson is a renowned illustrator and conceptual designer who specializes in fantasy and science fiction art. His surreal and innovative work has been featured in numerous books and magazines around the world. 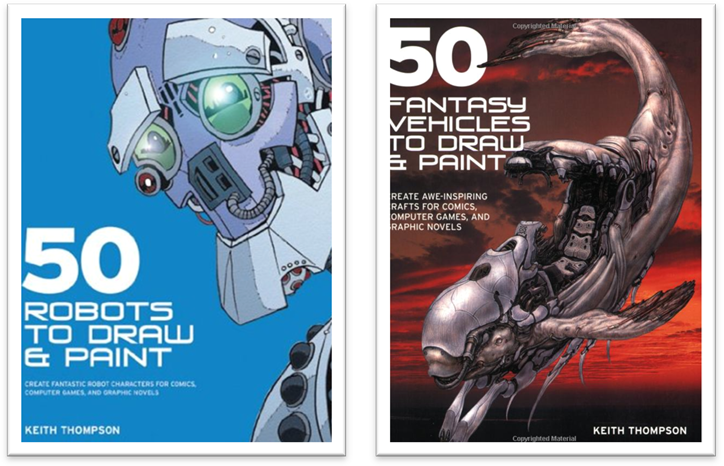 He is the author of 50 Robots to Draw and Paint, also published by Barron’s. He lives in Ottawa, Canada. This entry was tagged book trailer, fantasy, how-to, new books, science fiction. Bookmark the permalink.